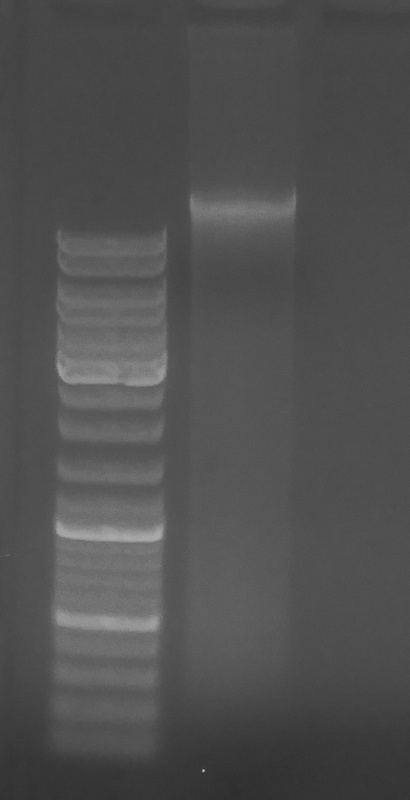 Isolated DNA from two of the geoduck hatchery metagenome samples Emma delivered on 20180313 to get an idea of what type of yields we might get from these. As mentioned in my notebook entry upon receipt of these samples, I’m a bit skeptical will get any sort of recovery, based on sample preservation. Added 1mL of DNAzol to each sample; mixed by pipetting. Added 0.5mL of 100% ethanol; mixed by inversion. Pelleted DNA 5,000g x 5mins @ RT. Wash pellets (not visible) with 1mL 75% ethanol by dribbling down side of tubes. Discarded supernatants and dried pellets for 5mins. Resuspended DNA in 20uL of Buffer EB (Qiagen). 5uL of each sample were used. As expected, both samples did not yield any detectable DNA. 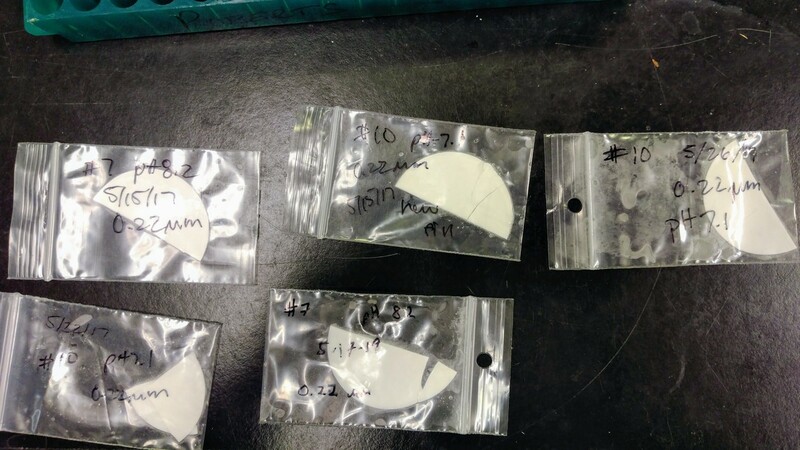 Will discuss with Steven on what should be done with the remaining samples.